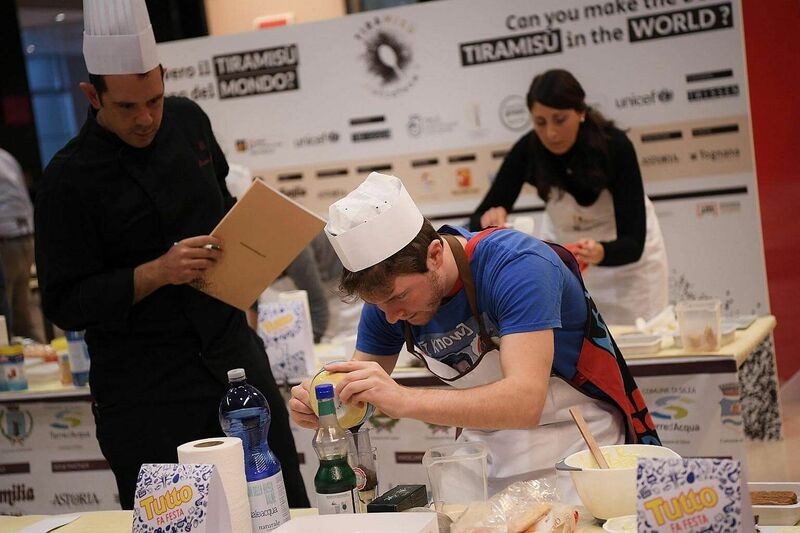 TREVISO (AFP) - An Italian factory worker won the first ever Tiramisu World Cup on Sunday, beating 700 other amateurs to whip up the softest and creamiest version of Italy's famous dessert. 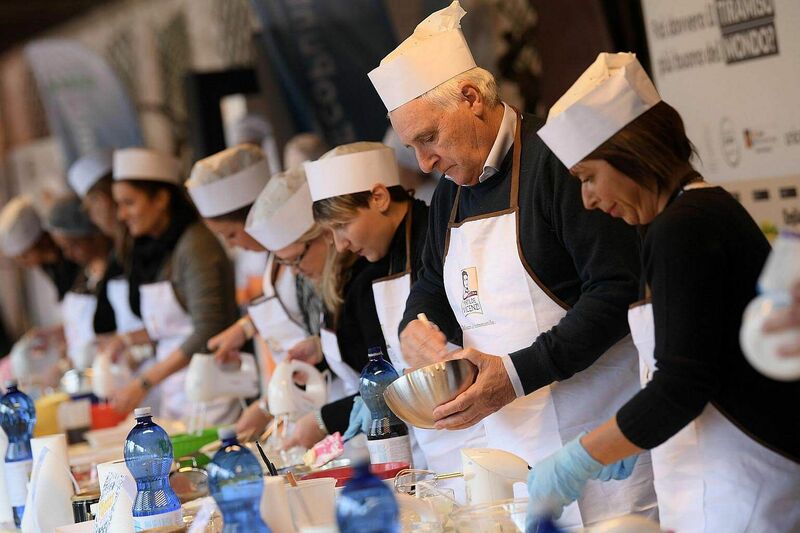 Hundreds of would-be pudding maestros descended on the city of Treviso armed with whisks and sieves to compete in the two-day challenge to make the best tiramisu, which means "pick-me-up" in Italian. The eventual winner, Andrea Ciccolella, 28, hails from Feltre in the Veneto region and works in an eyewear factory. "My dream is to be a pastry chef and open a small cake shop of my own, where I'd make traditional, home-cooked things. Nothing fancy, but tasty and made well," the victor told AFP. While the northern Italian region, home to the city of Venice, celebrated the sweet taste of victory the result was likely to embitter residents of neighbouring Friuli-Venezia Giulia. A dispute over whether the pudding originates in the Veneto or Friuli region has divided foodies for decades. Competitors for the prize were split into those following the original recipe - ladyfinger biscuits, mascarpone cheese, eggs, coffee, cocoa powder and sugar - and those getting creative by adding everything from strawberries to green tea. While slicing bananas into the whipped mixture was permitted, adding alcohol like Marsala wine was not. The prize was awarded by Roberto Linguanotto, a pastry chef who worked in Treviso in the 1960s and 1970s and is considered by Veneto as the man behind the original recipe. "What gives the final touch to tiramisu is the coffee. It's expensive because each ladyfinger needs to be dunked in espresso, and you need lots of them: intense, good quality, flavoured," he said. Friuli scored an important victory in the battle over the birthplace of tiramisu in August, when the dessert was officially inserted into a list of the dishes recognised as traditional of the region. Veneto officials was outraged, with governor Luca Zaia calling on the agriculture and food minister to overturn the decision, saying "no one can swindle us out of tiramisu... the best dessert in the world". Friuli thumbed its nose back and poured salt on the wound when a company in Udine announced this week that it had produced a machine capable of churning out a tiramisu every 30 seconds. Treviso mayor Giovanni Manildo side-stepped the debate on Sunday by dubbing his city "the moral capital of tiramisu". It was a declaration which may have amused Italian food writers who claim the dessert was actually created as a stamina-boosting treat that prostitutes fed their clients in Treviso brothels in the 1950s. There were no reports on the stamina or blood sugar levels of the juries - composed of pastry chefs, food critics and members of the public - who were still dipping spoons as the sun went down.